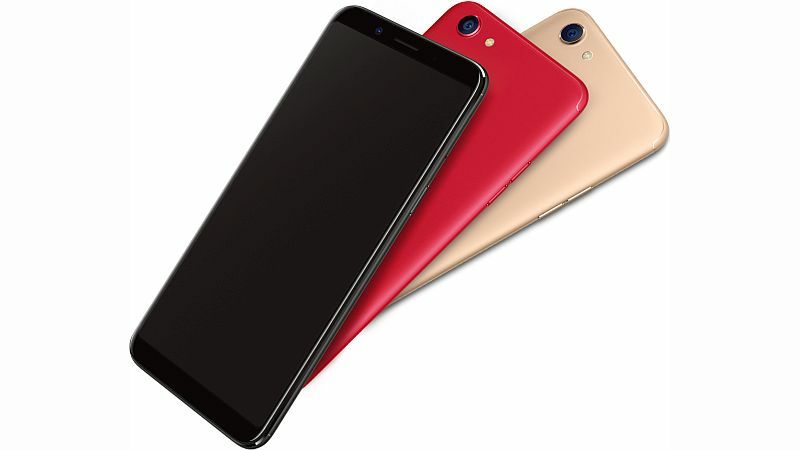 Oppo has launched successor of F3, i.e. Oppo F5 in Philippines. This smartphone is coming to Indian on 2nd November. This is again a selfie focused phone as most of the phones are launching these days. It comes with artificial intelligence (AI) beauty technology integrated in selfie camera to provide you better selfie images. Jut like other new arrivals, it also comes with very slim bezels around the display. Oppo F5 is powered by Mediatek MT6763T octa-core processor, which is coupled with 4/6 GB RAM. The 4 GB RAM variant comes with 32 internal storage, while 6 G RAM variant comes with 64 GB internal storage. Phone is running Android 7.1 Nougat out of the box along with Color OS 3.2. Phone is available in Red, Gold and Black colors. Pricing of the phone in Philippines is 15990 PHP (Approx 20K in Indian Rupees). As this is selfie focused phone, hence Oppo has integrated a 20 MP front facing camera with f/2.0 aperture and artificial intelligence (AI) beauty technology. Oppo claims that front camera is capable of recognizing background light in selfie image to provide bokeh effect i.e. you will get portrait mode in selfie. To click the your moments with back camera it comes with 16 MP camera at back with f/1.8 aperture and LED flash. It features 6 inch TFT HD+ display with resolution of 1080×2160 pixels. This screen is having a ratio of 18:9. This smartphone is backed by 3200 mAh battery. On connectivity front it supports GPS/ A-GPS, GPRS/ EDGE, 3G, 4G with VoLTE, Wi-Fi and USB OTG support. This smartphone is 7.5 mm thick, while weight is 152 grams. We are not at all happy with processor of this phone, but we can expect changes while oppo will launch it in India. We are also not sure that pricing of the phone will be similar of different. Camera of the phone is plus point for users. Display is also good and as per new trend. We need to wait till 2nd November to decide that does it worth price or not.